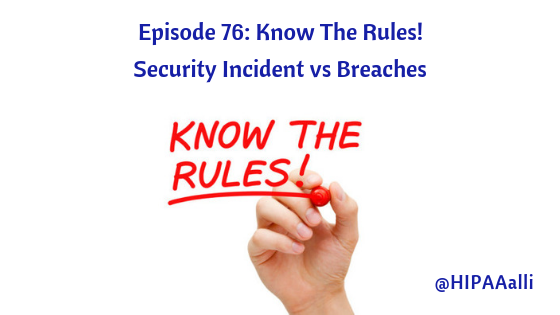 Today, I am going to discuss the differences between security incidents vs breaches for you. First, allow me to set the stage with definitions to provide some clarification. HIPAA defines security incidents as attempted or successful unauthorized access, use, disclosure, modification, or destruction of information or interference with system operations in an information system. (See the definition of a security incident at 45 CFR 164.304). When a security incident happens, and they do happen, effective response planning can be a major factor in how significantly an organization suffers operational, reputational harm, and/or legal liability. Being able to respond to incidents in a systematic way ensures appropriate response steps are taken each time, helping to minimize the impact of breaches. What if this scenario happened in your organization, would your workforce know what to do? ⇒ My entity just experienced a cyber-attack! ⇒ What do we do now? The previous example emphasizes the importance of creating a security incident response plan for your organization. Your Incident Response Plan is intended to assist your Covered Entities (CEs) and their Business Associates (BAs) in detecting breaches, decreasing loss and damage, mitigating the weaknesses that were exploited, protecting the confidentiality, integrity, and availability of data, and restoring IT services back to normal. HIPAA also identifies breaches as an impermissible acquisition, access, use, or disclosure under the HIPAA Privacy Rule that compromises the security or privacy of the protected health information (PHI). (See the definition of a breach at 45 CFR 164.402). An impermissible use and/or disclosure of PHI is presumed to be a breach unless the CE or BA, as applicable, demonstrates there is a low probability the PHI has been compromised based on a risk assessment. OCR provides an All Case Examples list of HIPAA compliance enforcements organized by CE type or Issue. The list contains 12 different cases of impermissible uses and/or disclosures. I recommend reviewing the list to see how OCR addresses each case. BAs must notify CEs if a breach occurs at or by the BA. The BA must provide notice to the CE without unreasonable delay, and no later than 60 days from the discovery of the breach. Where possible, the BA should provide the CE with the identification of each individual affected as well as any other available information to the CE. 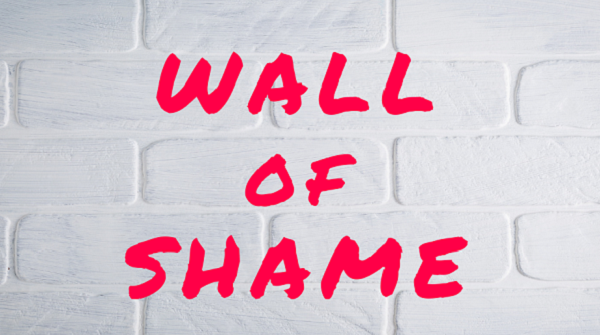 More and more people are hearing of OCR’s “Wall of Shame.” All it takes to join this infamous list is a breach of unsecured PHI that affects 500 or more individuals. After you’ve reached that magic number (500 or more patient records breached), you must notify the media. If a breach affects fewer than 500 individuals, the CE must notify the Secretary and affected individuals. Reports of breaches affecting fewer than 500 individuals are due to the Secretary no later than 60 days after the end of the calendar year in which the breaches occurred. Breaches are not the ONLY way to make it on the wall. Once OCR receives a complaint they begin their investigation. When they come calling, they don’t ONLY look at areas related to the complaint. Instead they look at your ENTIRE compliance program. Now I ask you if this happened – Would YOU Be Ready For OCR? In 2018, there were 76 healthcare data breaches involving Business Associates added to the “Wall of Shame”. 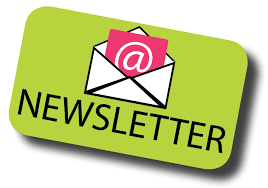 For more details about the HIPAA Breach Notification Rule, visit the HHS website. It doesn’t matter what size you are, hackers know healthcare is rich with unsecured data worth approximately $408.00 per record on the Dark Web. Besides, it is YOUR practice, YOUR patients, YOUR reputation, and YOUR legacy! Why are you leaving yourself wide open to such risks?